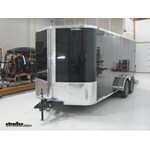 Call 800-298-8924 to order Erickson e track part number 59149 or order online at etrailer.com. Free expert support on all Erickson products. 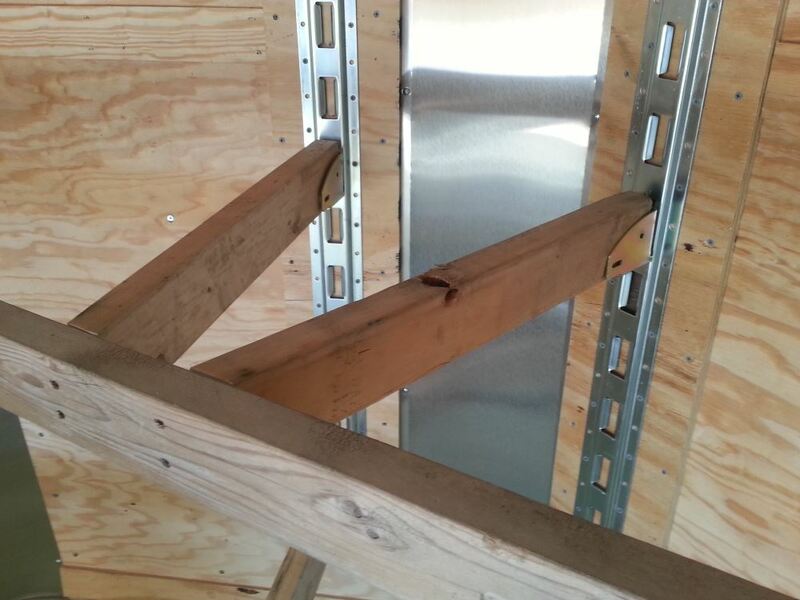 Guaranteed Lowest Price and Fastest Shipping for E-Track Wood Beam Socket for Standard 2" Lumber - Qty 1. E Track reviews from real customers. 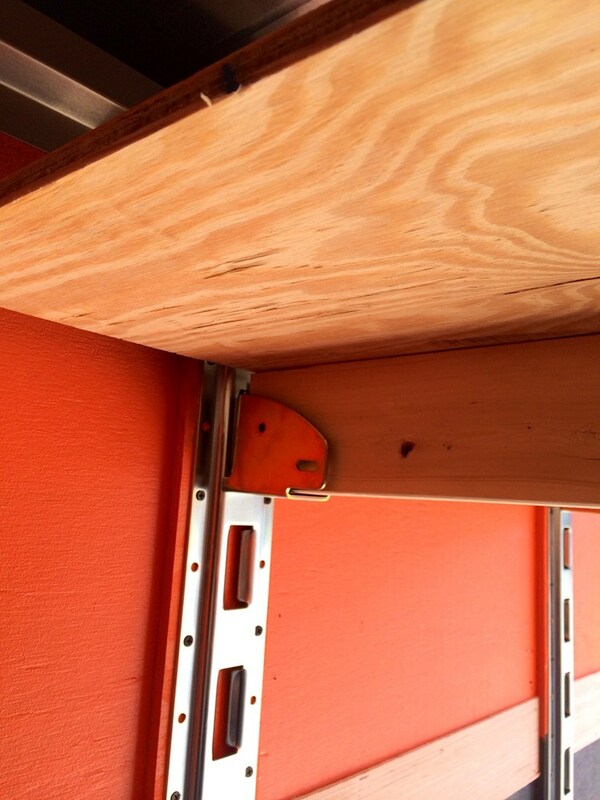 Use the wood beam socket to add standard lumber to an E-track anchoring system. 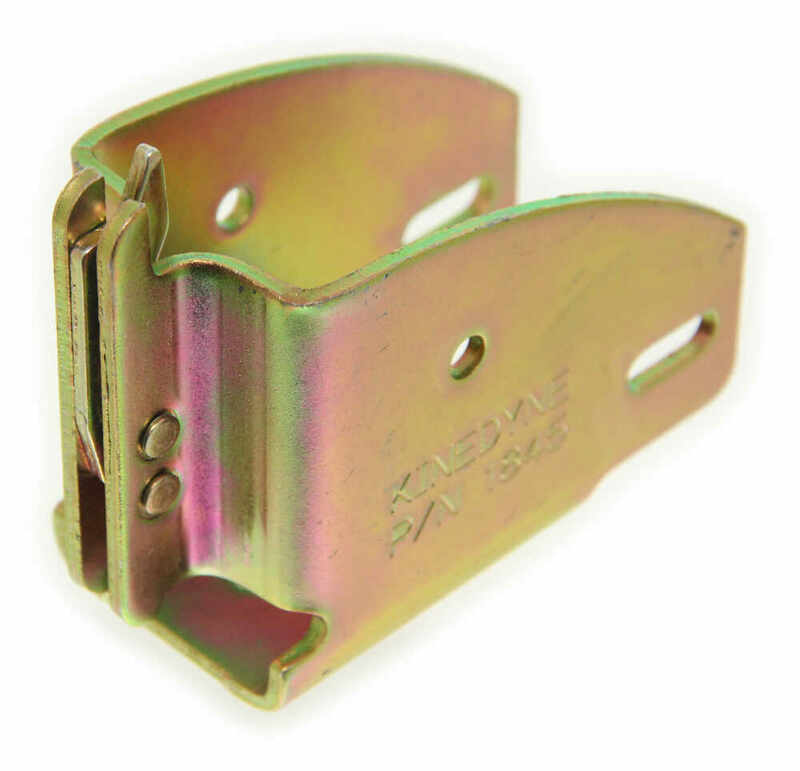 Simply attach a piece of 2" lumber to a couple sockets and then clip the sockets into your E-track or Snap-Loc anchors. 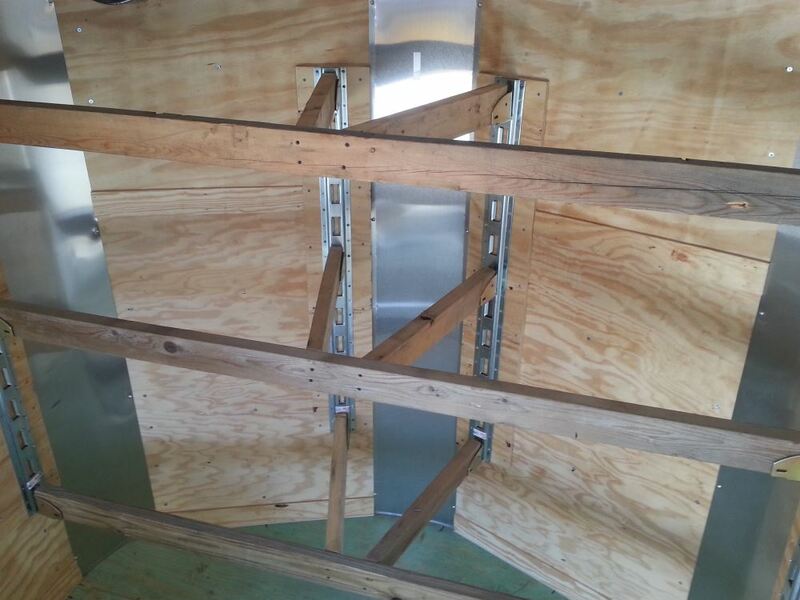 You can create adjustable and removable shelves, beds, and dividers in your truck, trailer, or toy hauler. 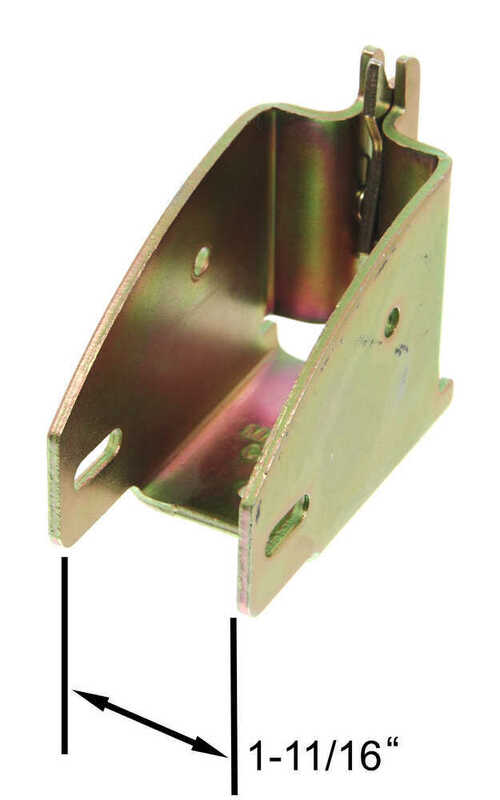 Today we're going to be taking a look at a E Track wood beam socket for standard 2-inch lumber. 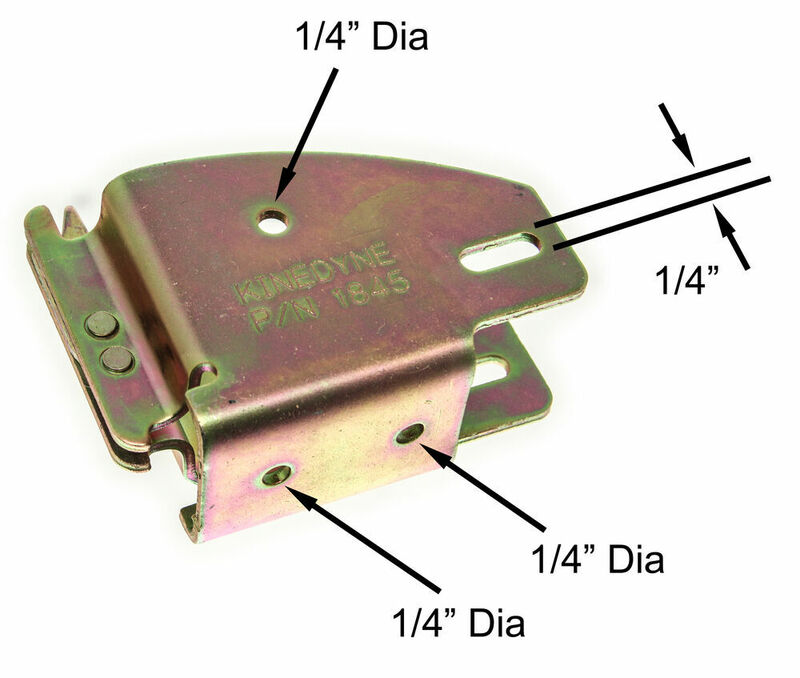 This bracket let's you attach a standard 2-inch board to an E Track anchor on your trailer. 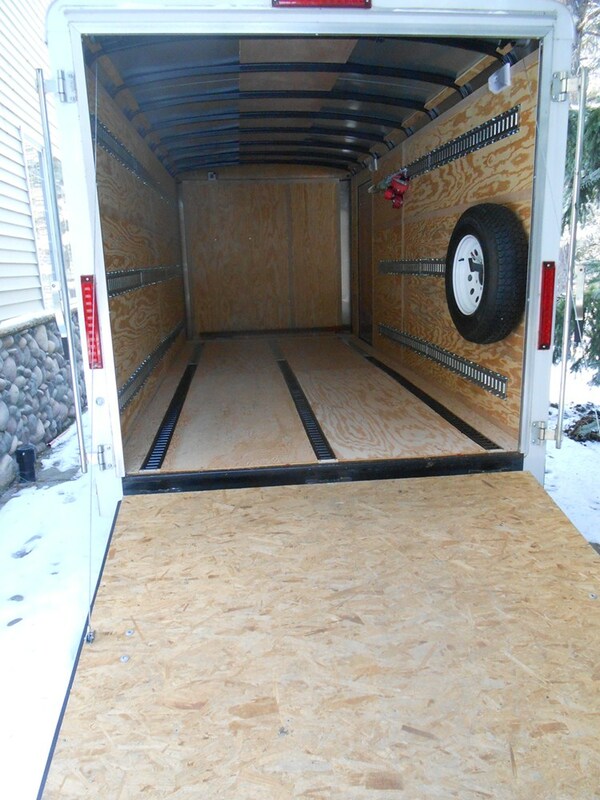 It allows you to build shelving, beds, dividers, and cargo restraints very quickly and easily. It's also easily adjustable which is one of the greatest features about the unit. It's got the spring-loaded clip right here, that way you can always adjust the height up and down on your E Track system. You can move this to any mounting location on your E Track system. 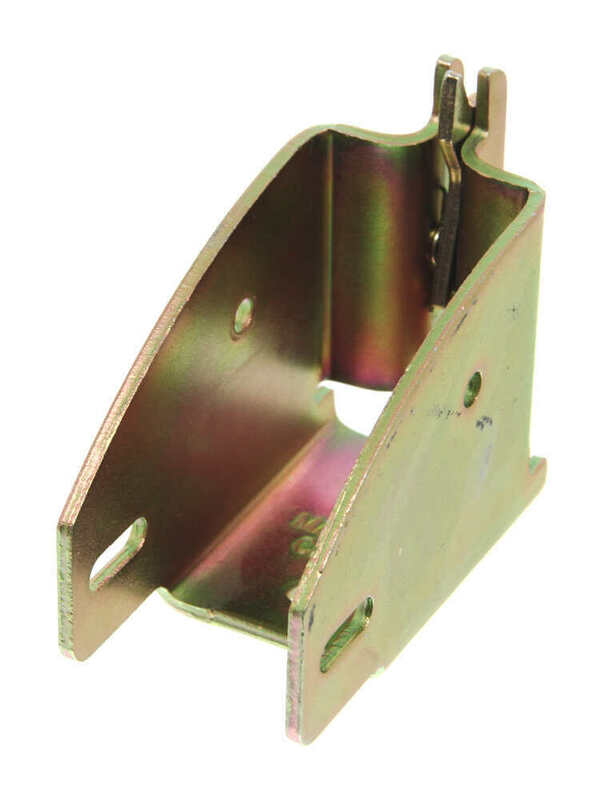 There's numerous holes in the bracket that allow you to secure the lumber to the socket or to the bracket. Hardware to do that is sold separately. You can use this with horizontal, vertical, and single E Track systems. Steel construction is very strong and durable, and it's going to have that yellow zinc coating or finish on it to do a great job at resisting rust and corrosion. You are going to get 1 wood beam socket. A few measurements to go over with you real quick. If we take a measurement from inside edge to inside edge, that's going to give us a measurement of about 1 11/16 of an inch. 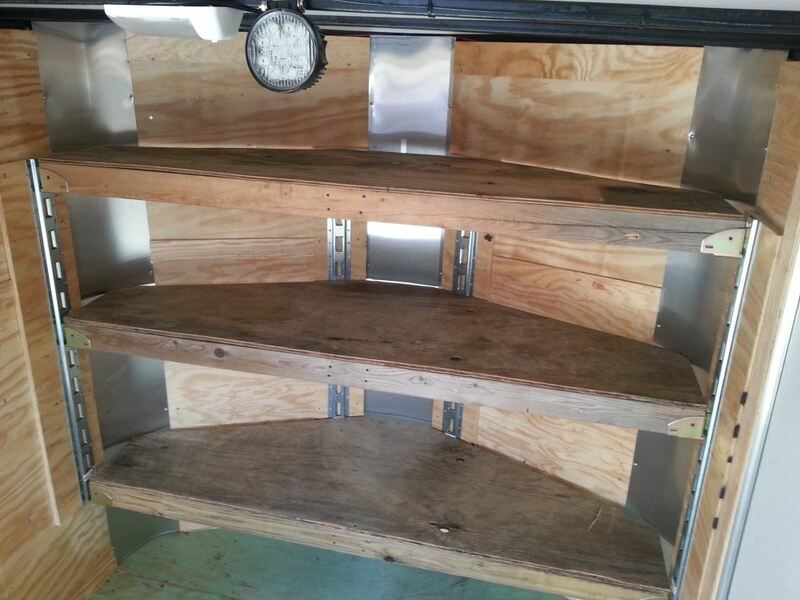 The diameter of all the mounting holes on the unit are going to measure 1/4 of an inch. The elongated one measures 1/4 inch up and down and then front to back it's going to give us a length measurement of about 3/4 of an inch. The mount hole separation on center between these two bottom ones, those are separated on center by about 1 1/4 inch. Then this hole, and this hole, are separated in height by 1 inch. If we take a measurement of the depth that we have, so from the bottom to the top, that's going to give us a measurement of 2 3/4 of an inch. From this back edge to the furthest out point, that's going to give us a measurement of 3 3/8 of an inch. Then we can measure from this back piece right here to the very front of the unit, that's going to tell us about how far it's going to stick out from the wall, well from the E Track mounting area. That's going to be about 3 3/4 of an inch. That's going to do it for today's look at the E Track wood beam socket for standard 2-inch lumber. 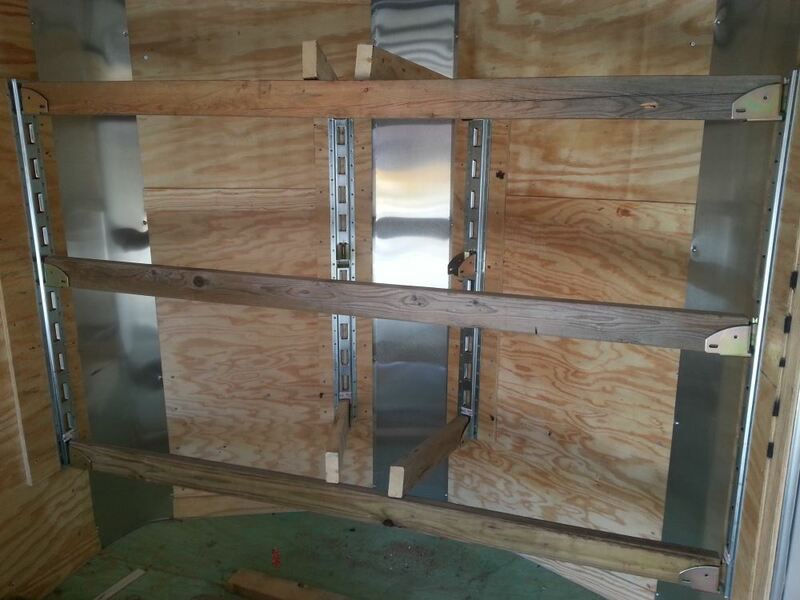 Great 2x4 mount they are low cost and work well. Everything has worked out perfectly. 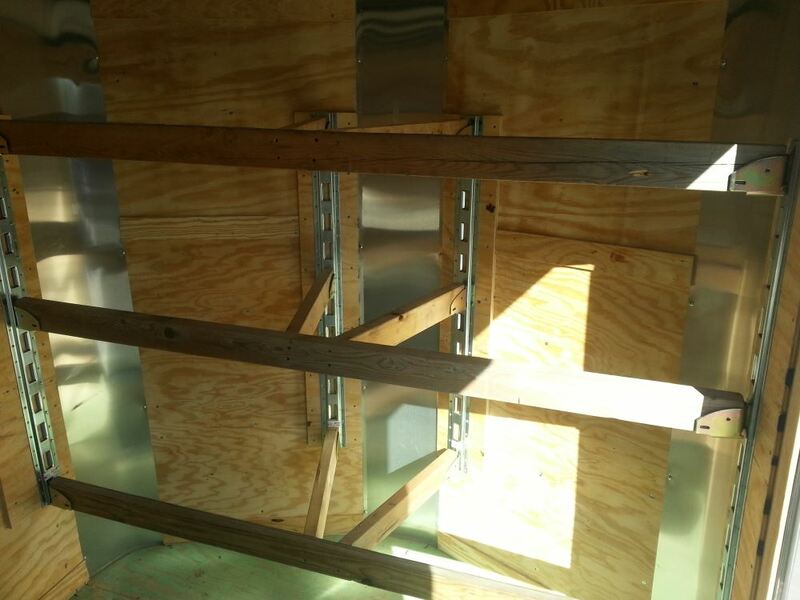 A beam solution using these e-Track beam brackets designed for wood 2x4s weighs more than an aluminum beam, but it cost less than 110th the price! 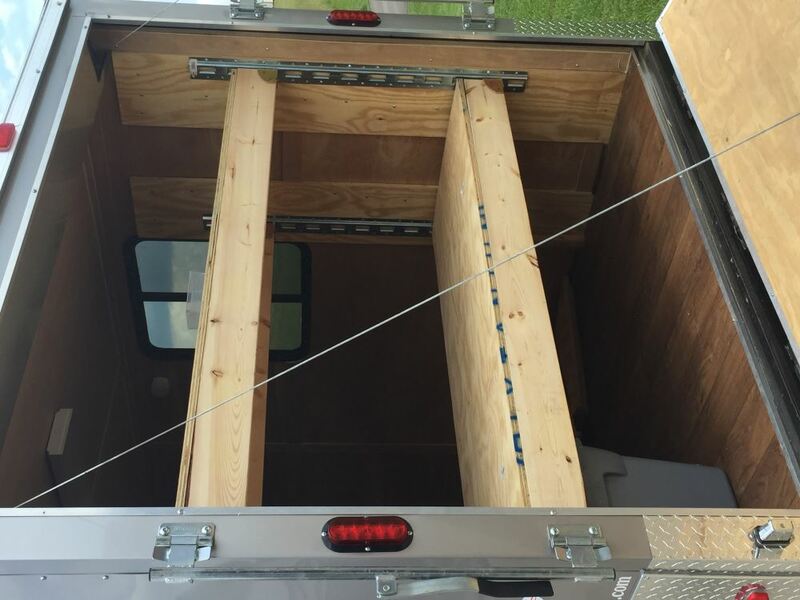 I built 6 beams, so I saved $500 ! It is worth doing this solution! No complaints! 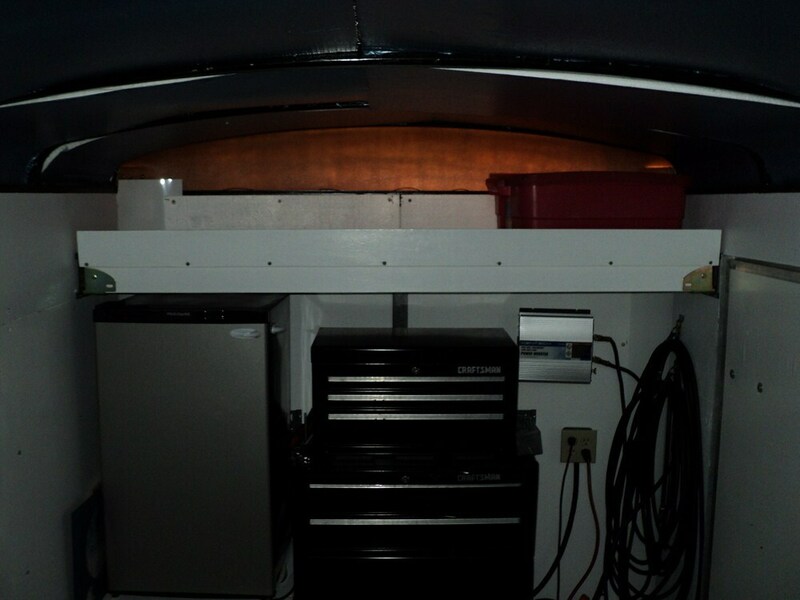 Thousands of miles of use holding motorcycle wheels and tires in the race trailer. It is a good product that does what it was designed to do. No complaints. I assume you are referring to the sockets that hold the boards? 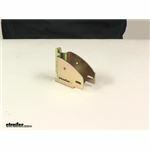 If that is the case then we do not sell them separately for the Shelf Kit part # RA-13. 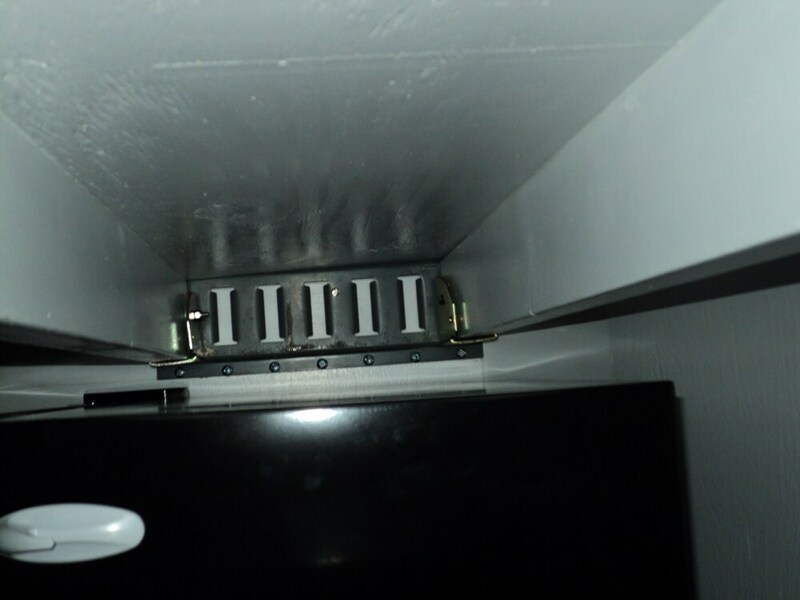 However, a more cost effective solution would be to use the E-Track part # E19146 with the E-Track Wood Beam Socket part # 59149 as you would be able to choose the amount of shelves. The E-Track part # E19146 might also work with the Shelf Kit part # RA-13 but I can't confirm this. The E-Track Wood Beam Socket # 59149 that you referenced doesn't have a capacity listed for it because the wood installed in it would break long before it would. 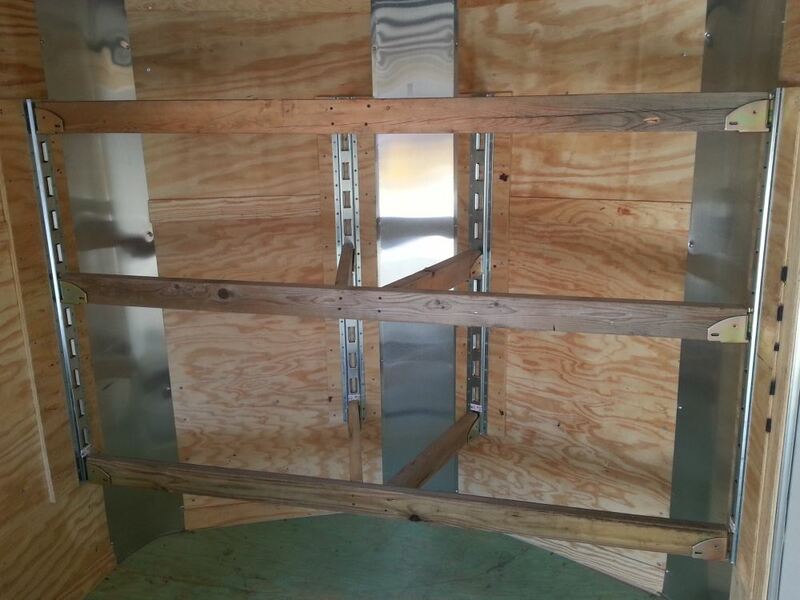 To install the vertical E-track sections like the 4 foot section part # E19146 you could use self-tapping screws. I attached an install video for this for you to check out as well. 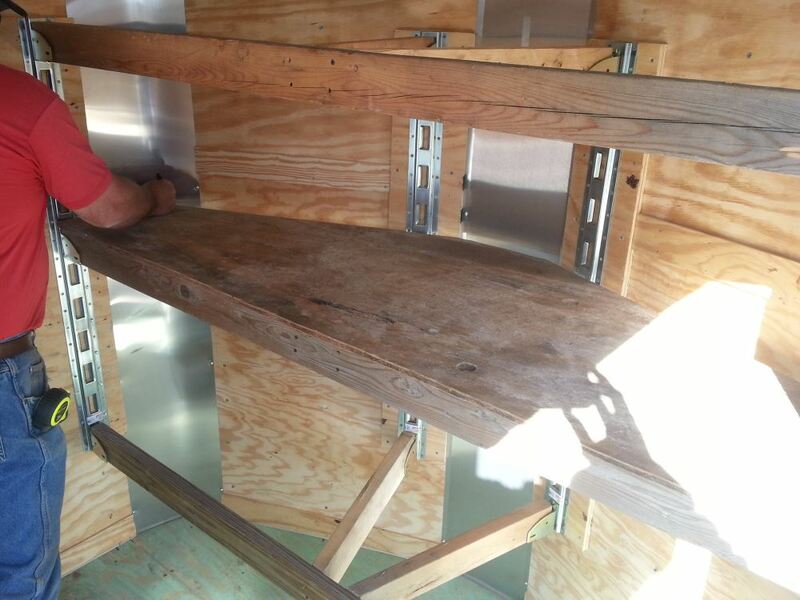 The box should have metal studs on the interior, along with wood 'rub strips' that run horizontally a couple feet up above the floor. 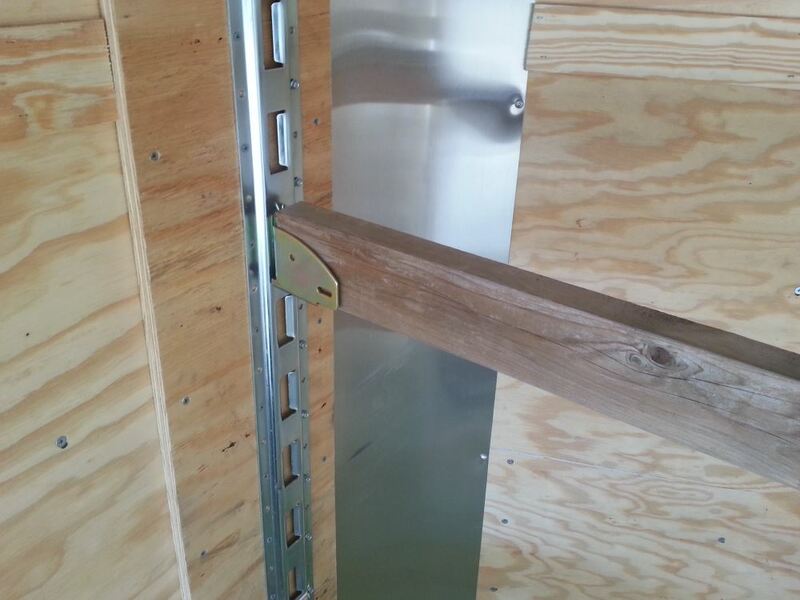 Those wooden cross members that are attached to the metal studs provide an ideal mounting point for the e-track. 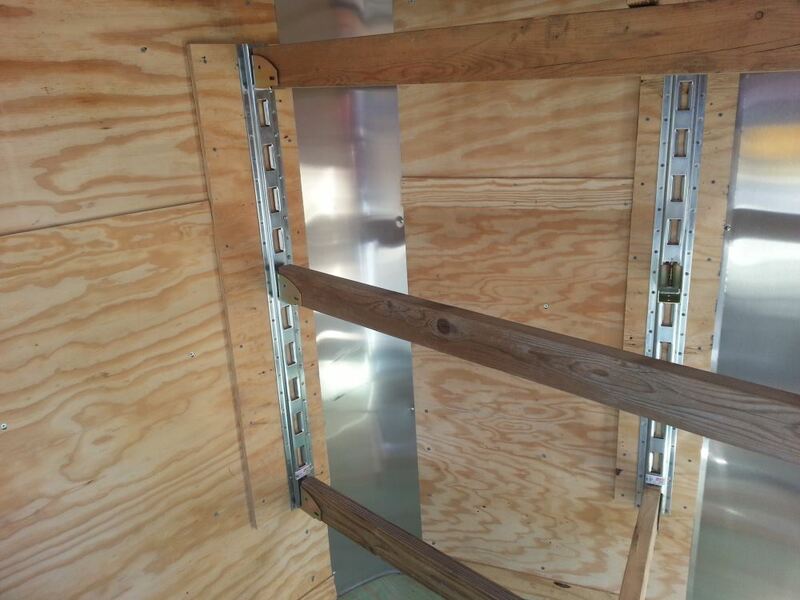 If there is no wooden strip, the e-track can attach directly to the metal studs. 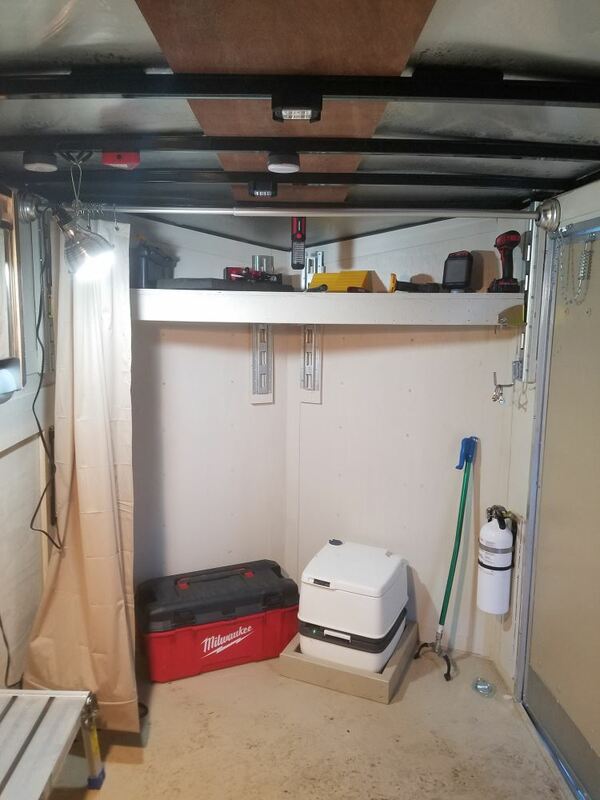 You could use a E-Track Wood Beam Socket with the E-track setup that you have. 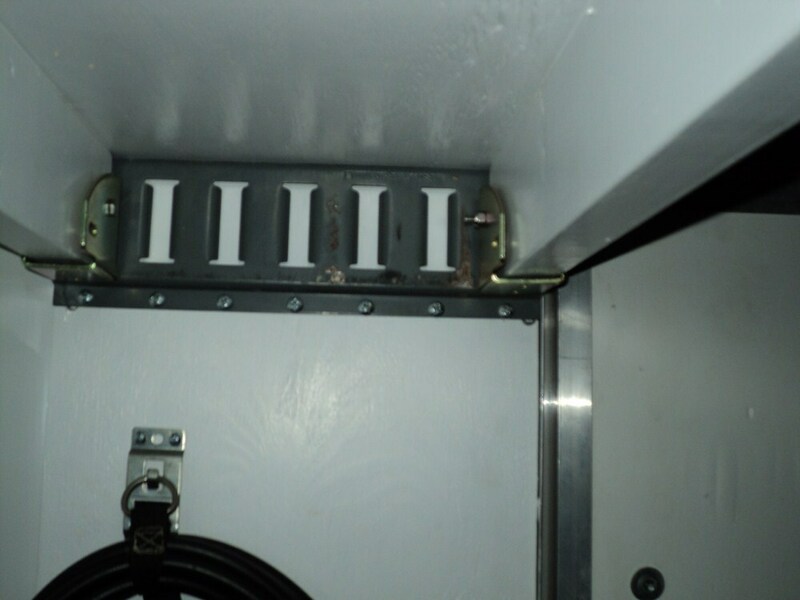 I spoke with my contact at Erickson and she went out and put a E-Track Wood Beam Socket # 59149 into an E-Track Trailer Cargo Control # E19148 and found that the # 59149 would not hang over the bottom of the E-track once installed and would work for your setup. I attached a review video for the E-Track system for you to check out also. Sounds like a good plan. For the 5 foot sections of the E-track you would want part # E19148. The # EM59150 that you referenced is sold in 2 foot sections. 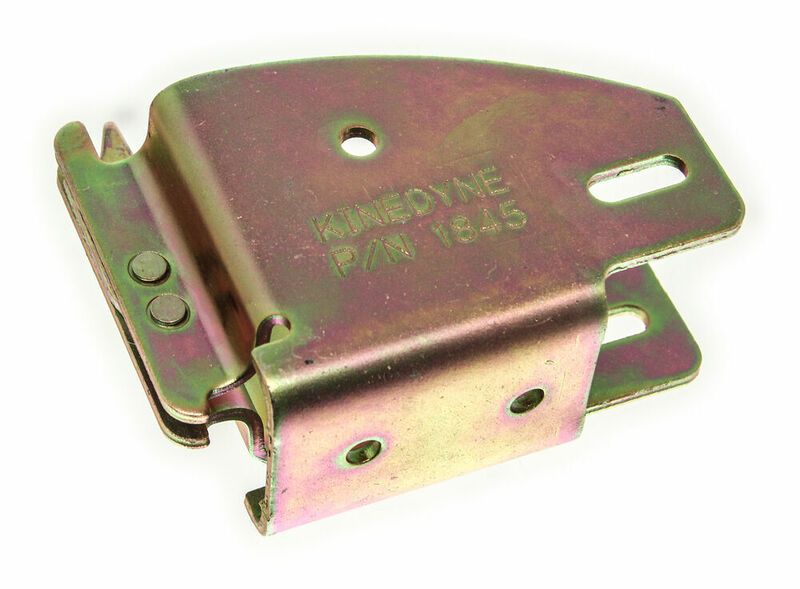 You might also be interested in the E-Track Tie-Off Ring # 59131, E-Track Wood Beam Socket # 59149, and E-Track 2" D-Ring part # E59143. The E-Track Wood Beam Socket you mention, part # 59149 can be mounted in any orientation you wish.As you can see in the photo I provided, the slots in the E-Track measure 2 inches apart on center. 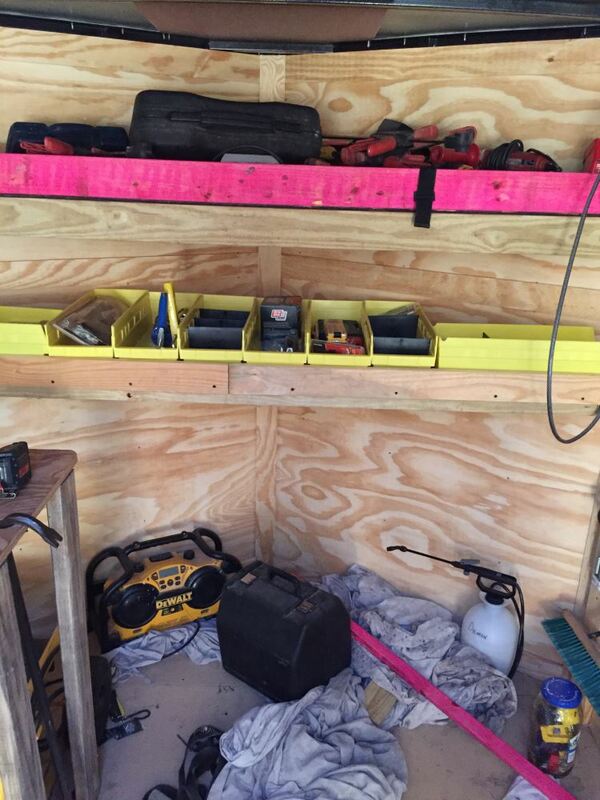 Moving from one slot to the next would provide 2 inches of adjustment. There is a small amount of side-to-side movement once the beam socket is connected to the E-Track. 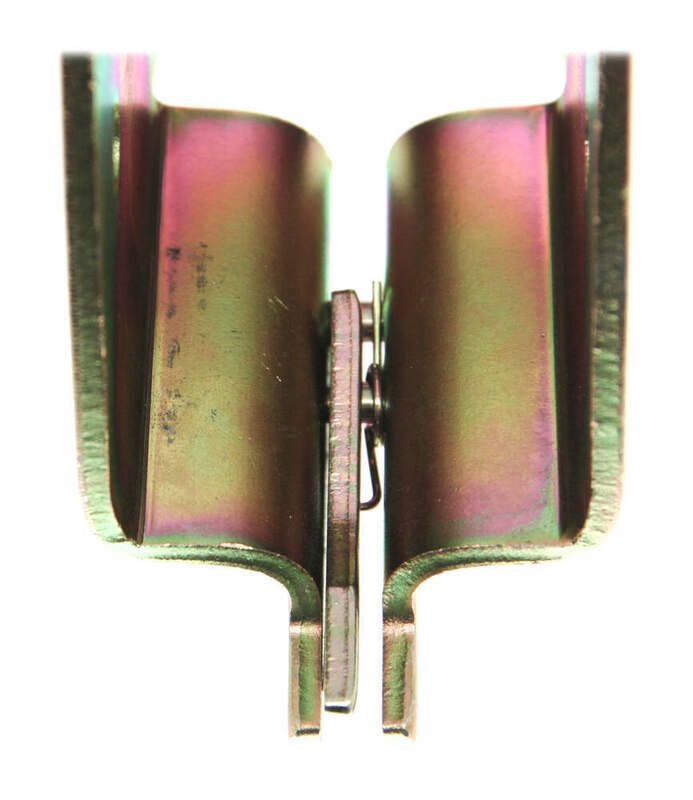 E-track offers a wood beam socket part # 59149 which can fit in the vertical E-track part # E19146 that you referenced. 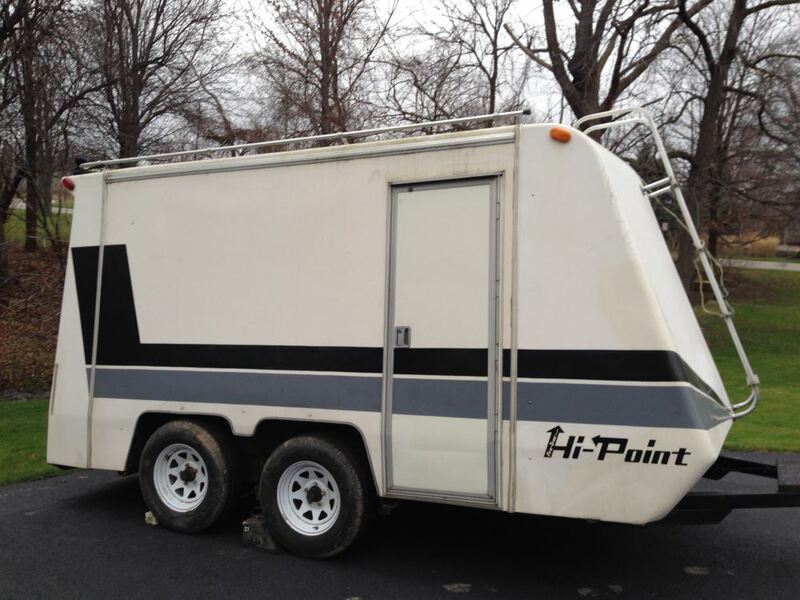 This would be perfect for creating a second floor/deck in the trailer. I attached an install video for you to check out as well. 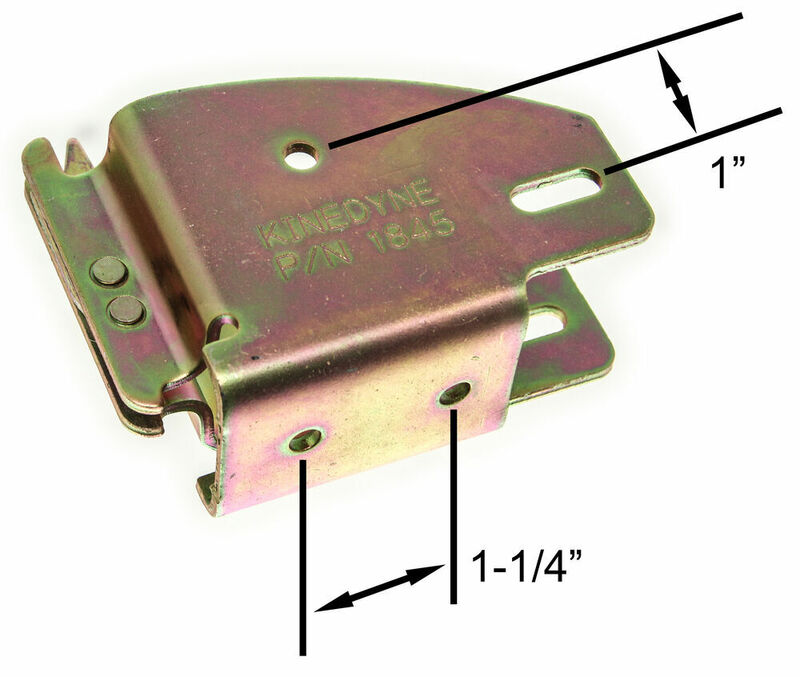 The E-Track Wood Beam Socket, item # 59149, does have a bottom for a 2 x 6 to rest on , and it is 3-1/2 inches tall.